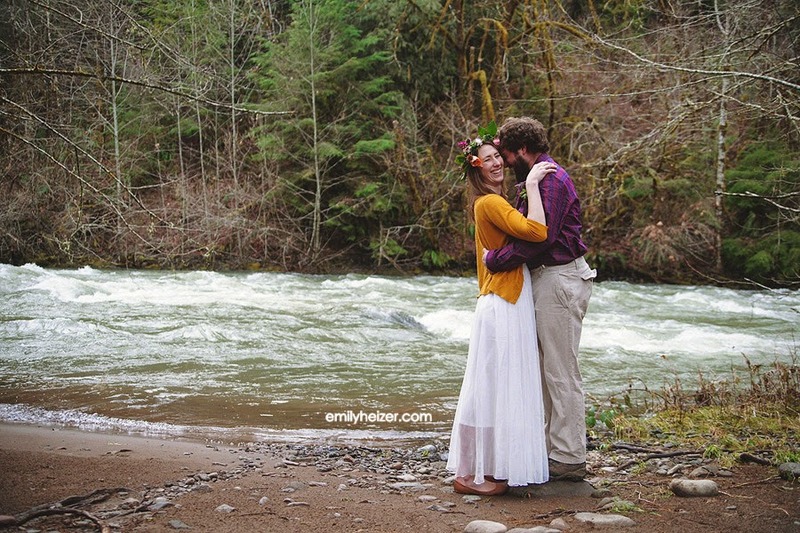 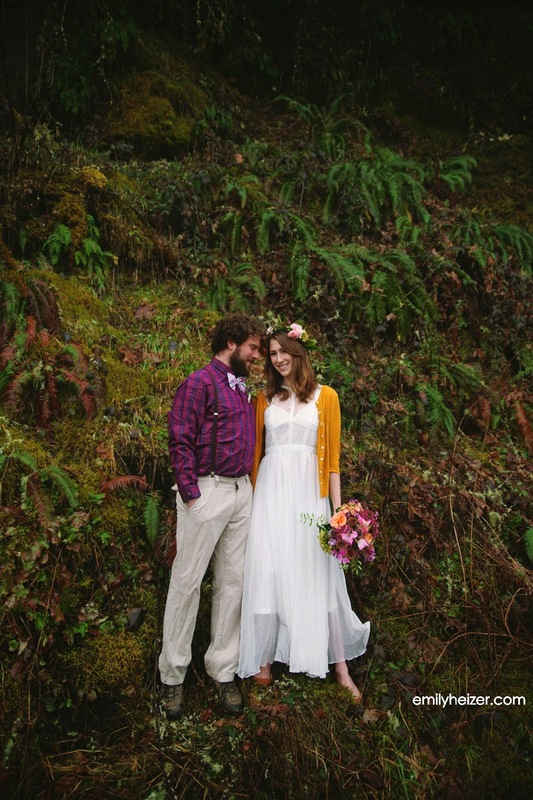 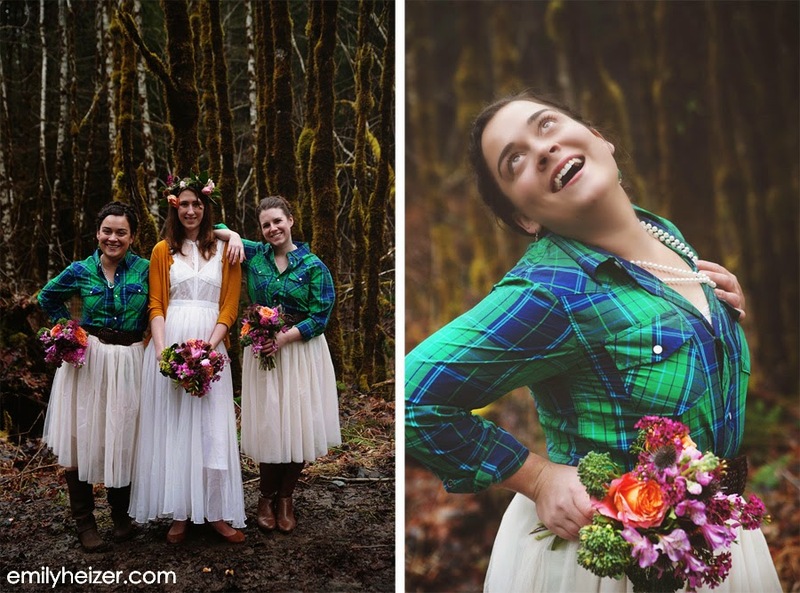 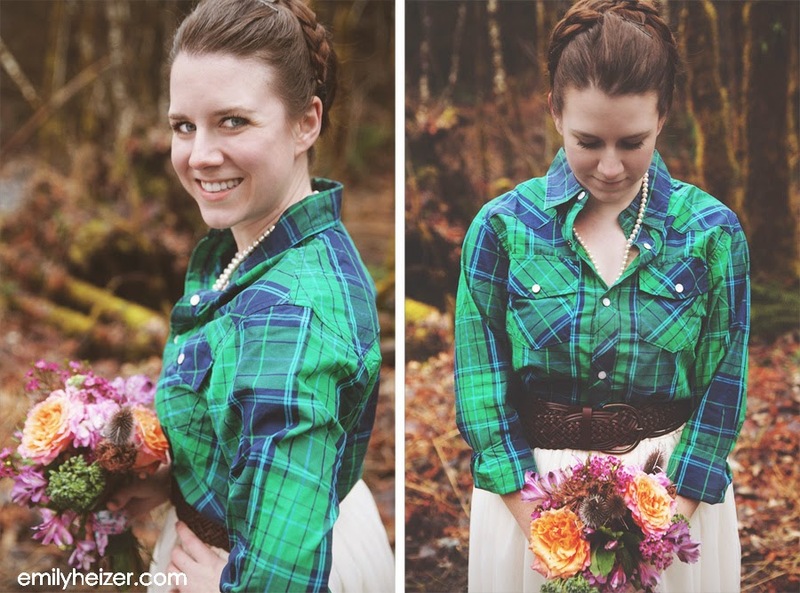 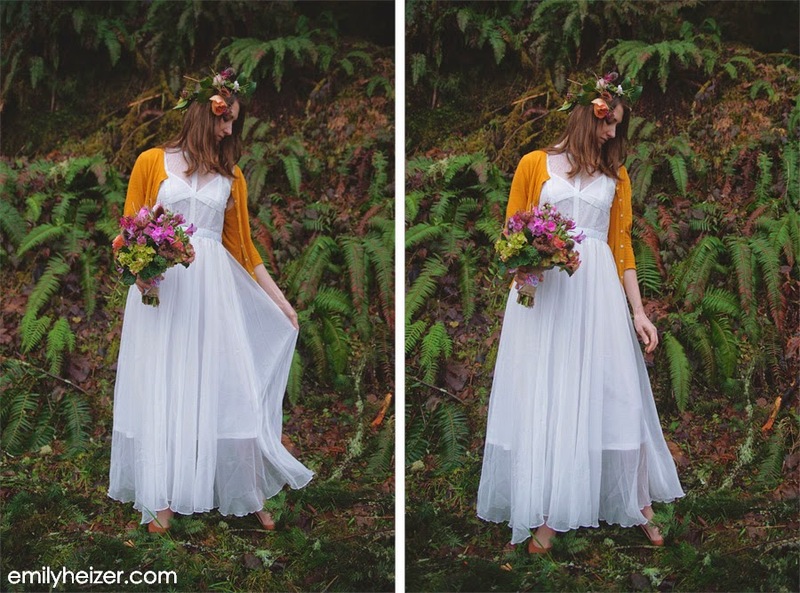 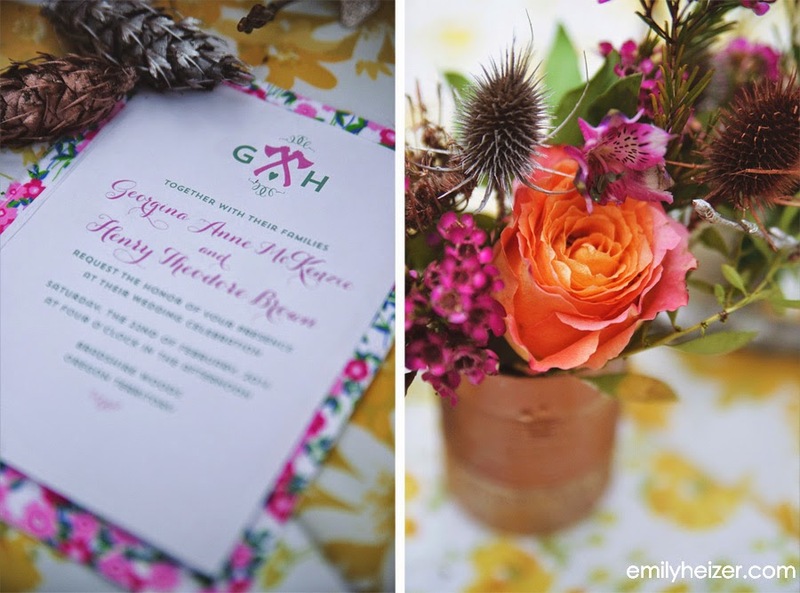 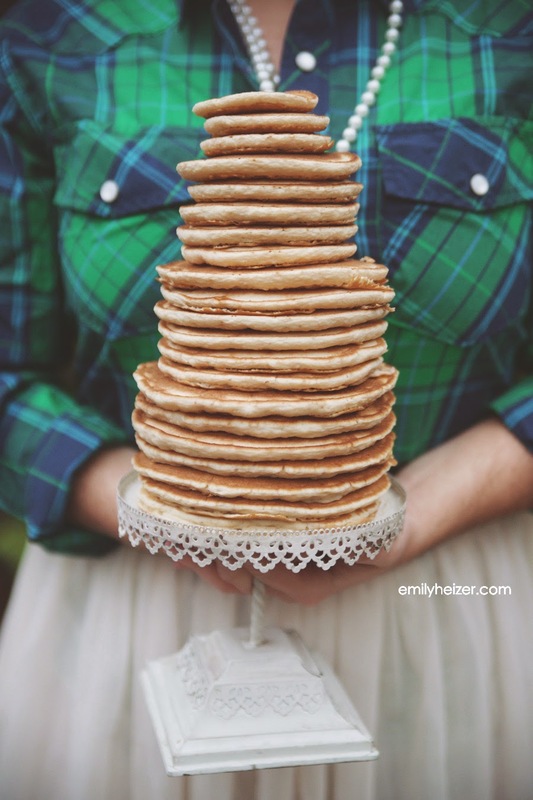 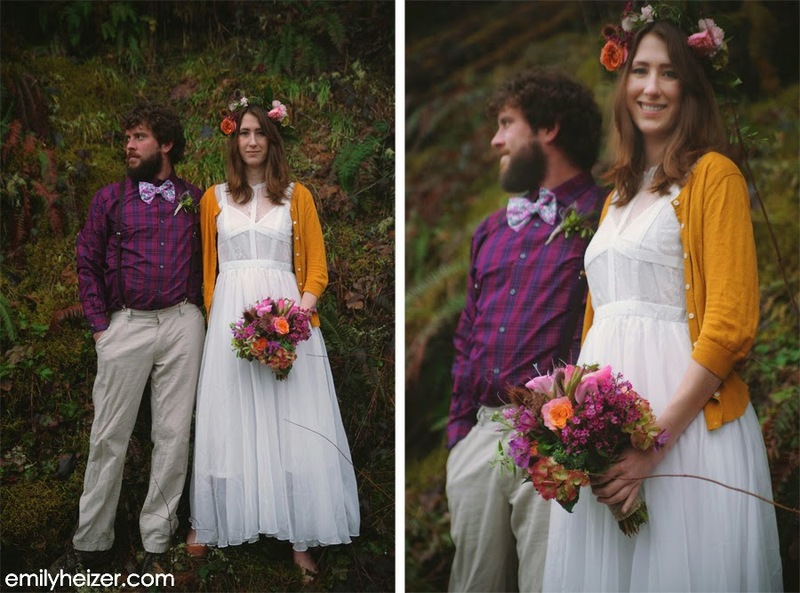 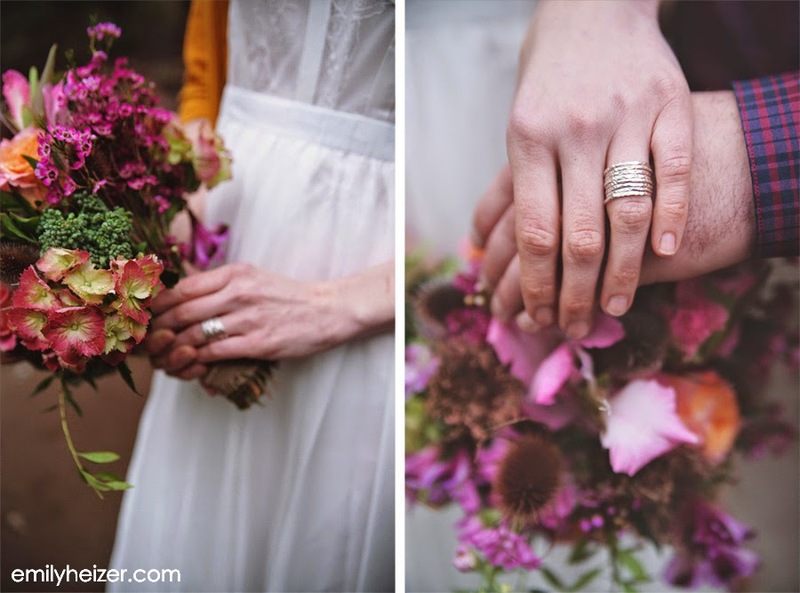 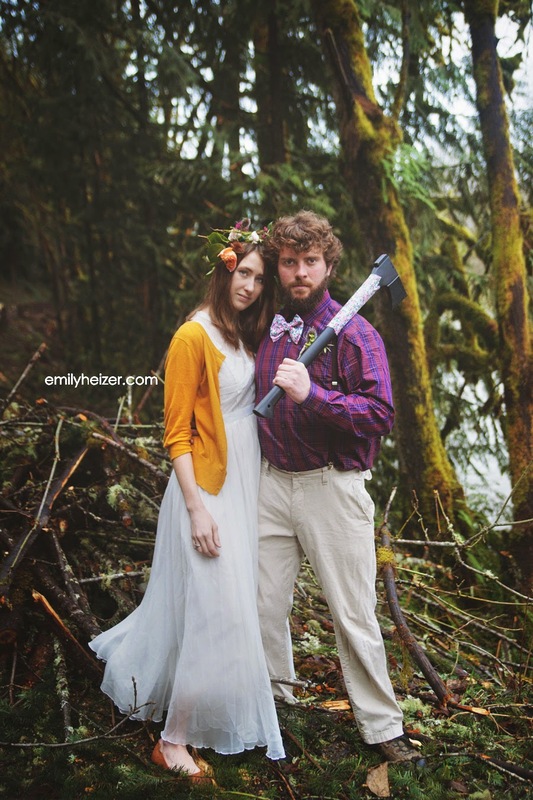 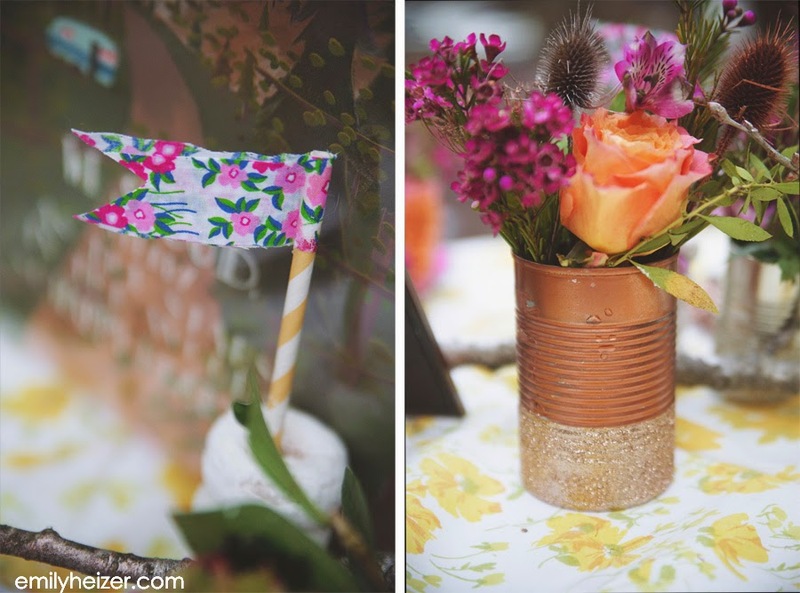 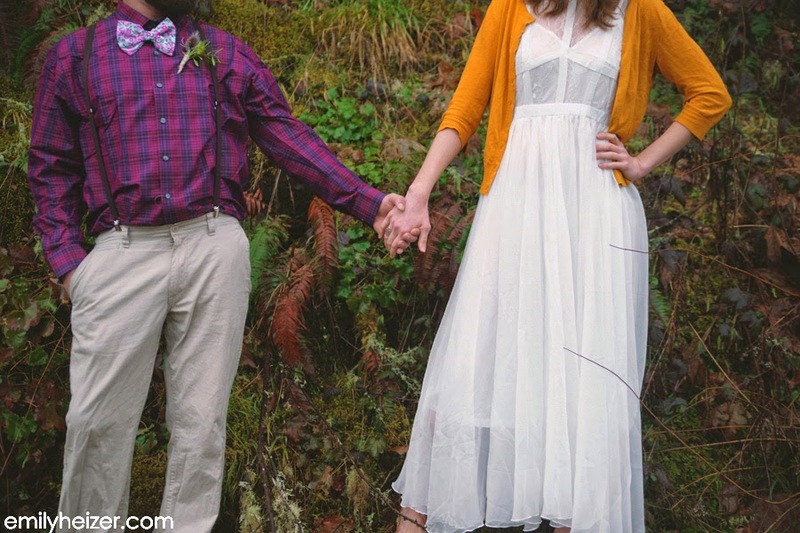 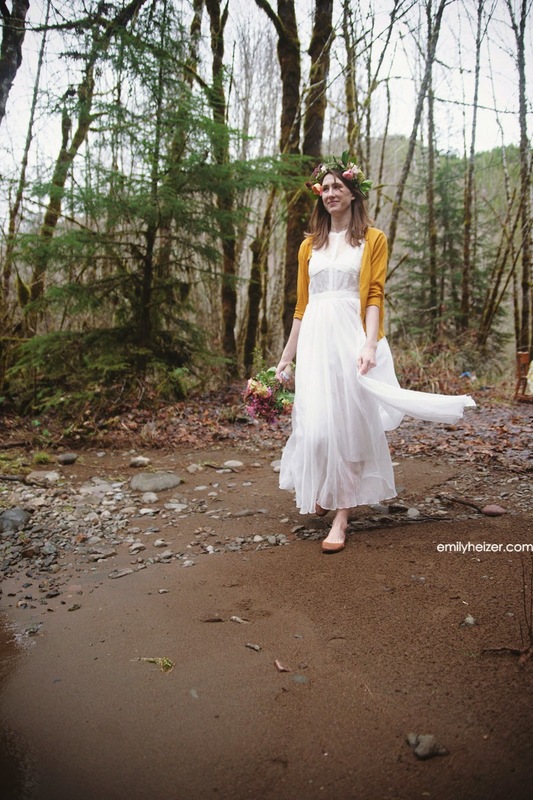 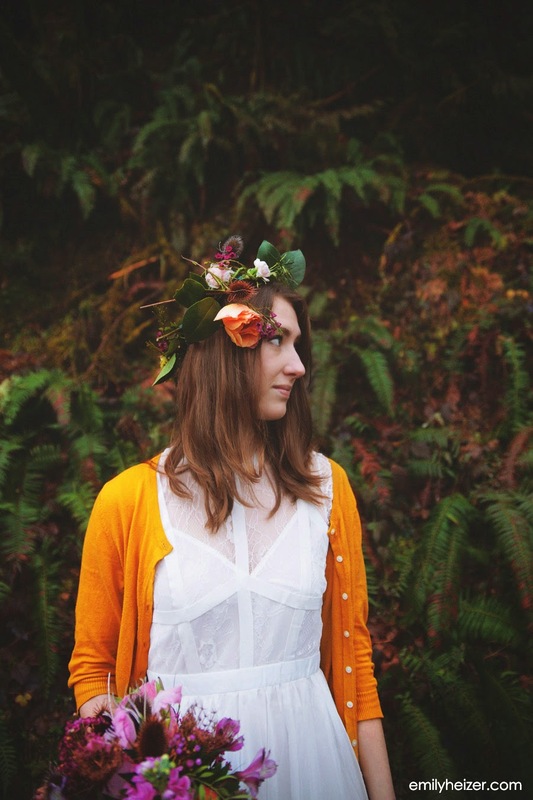 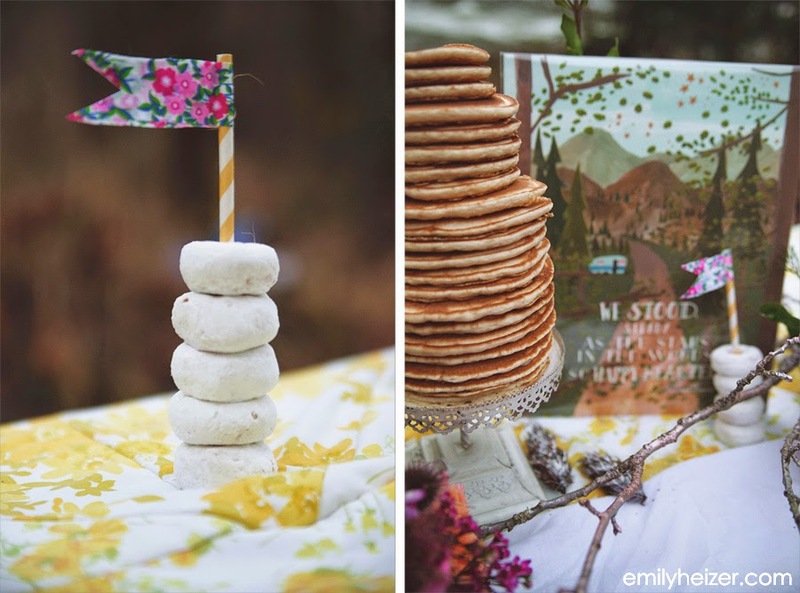 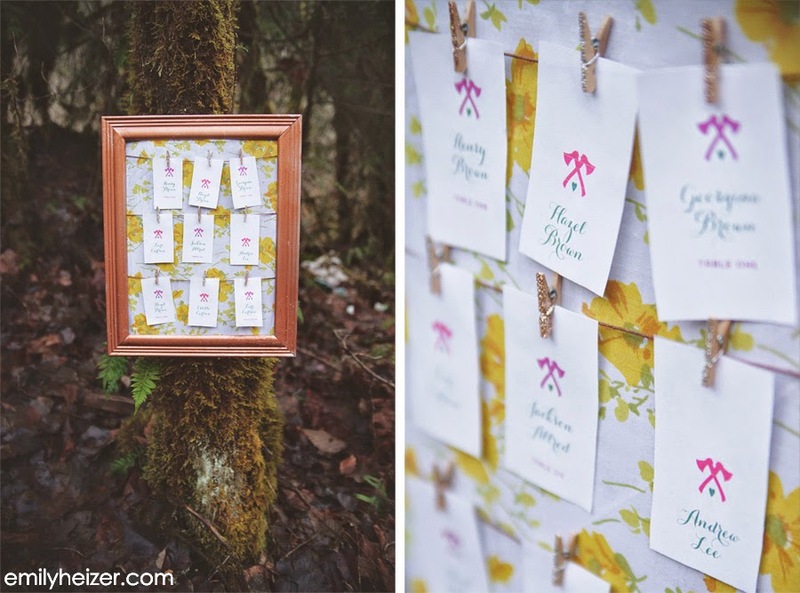 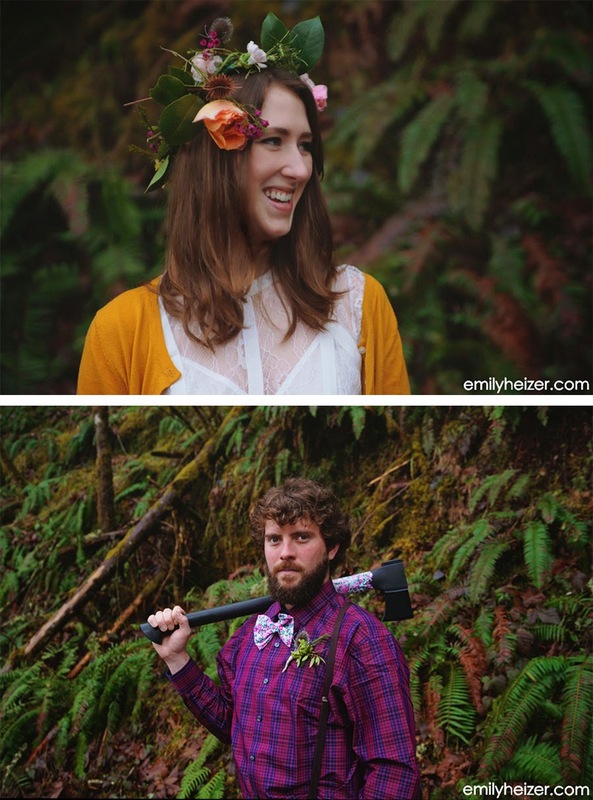 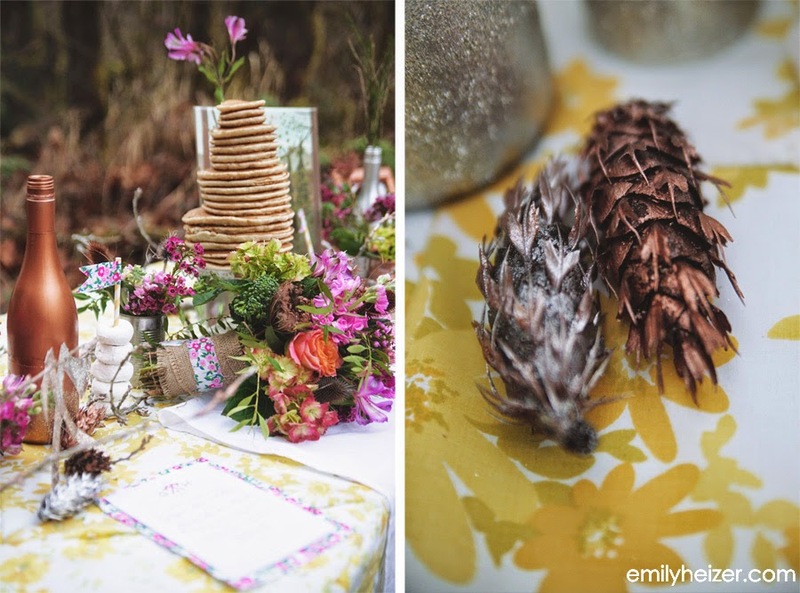 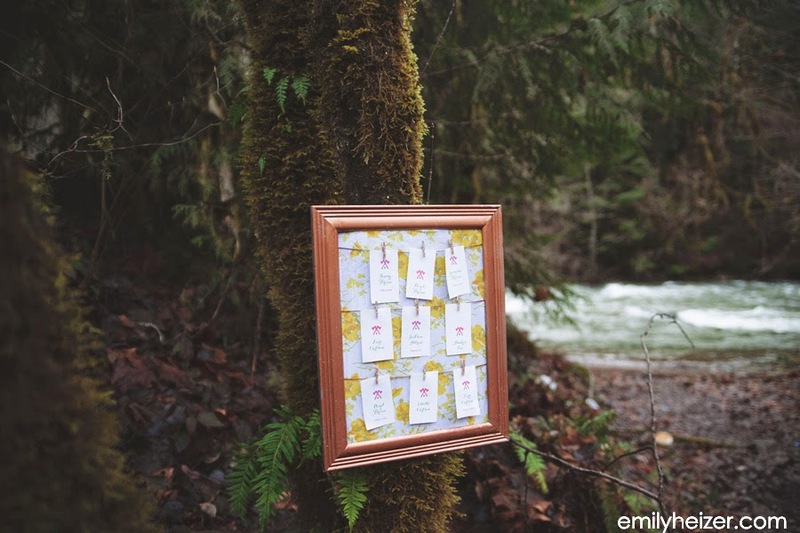 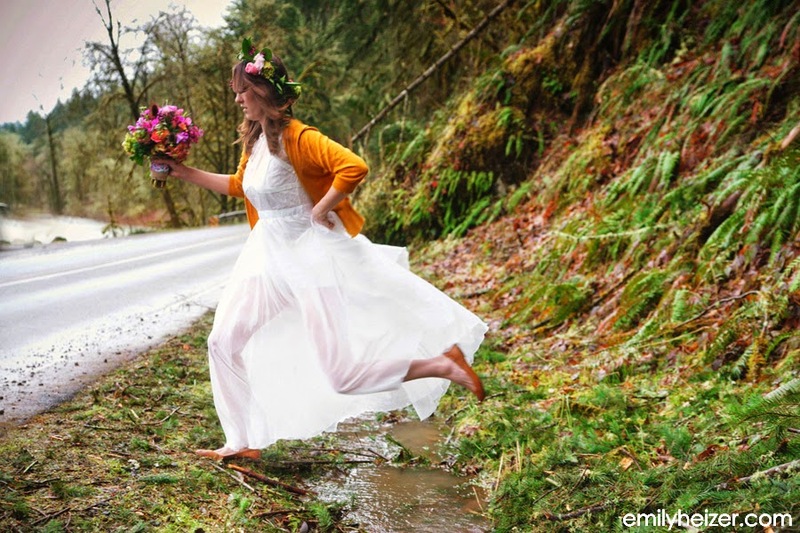 This lovely little styled photoshoot was photographed on a country highway between Bend, and Eugene, Oregon. 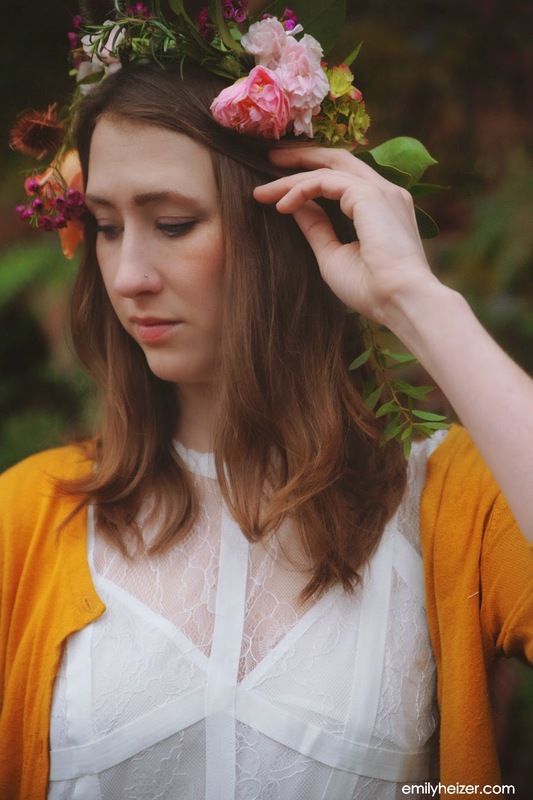 Spending a significant amount of time in this region over the last year I have really been inspired by the local industry, as well as the trends and interests in this area. 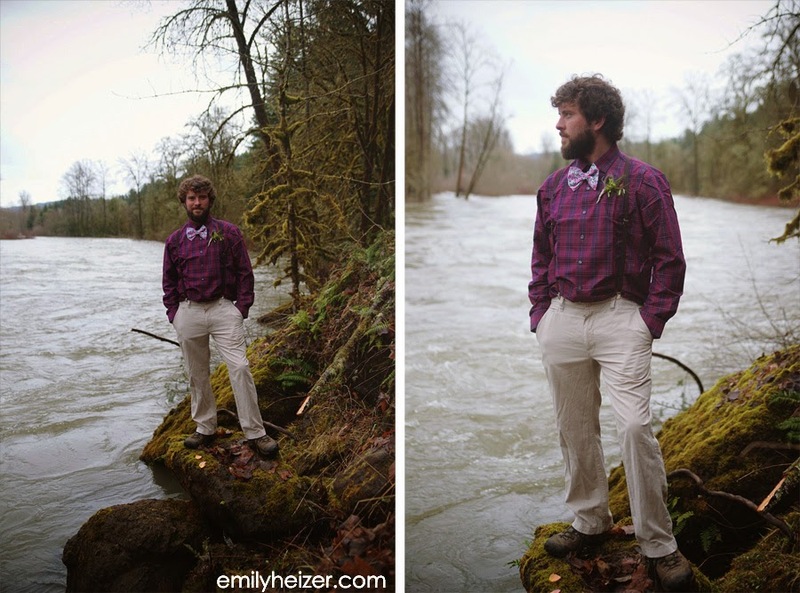 The Pacific Northwest is a beautiful location to work in! 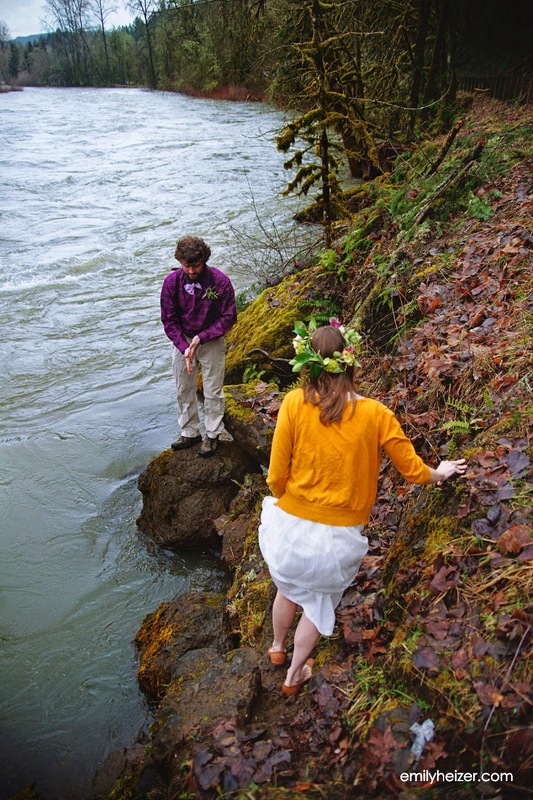 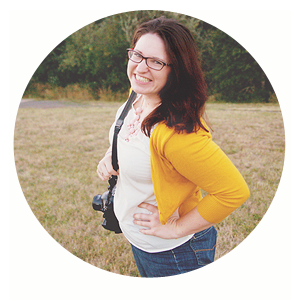 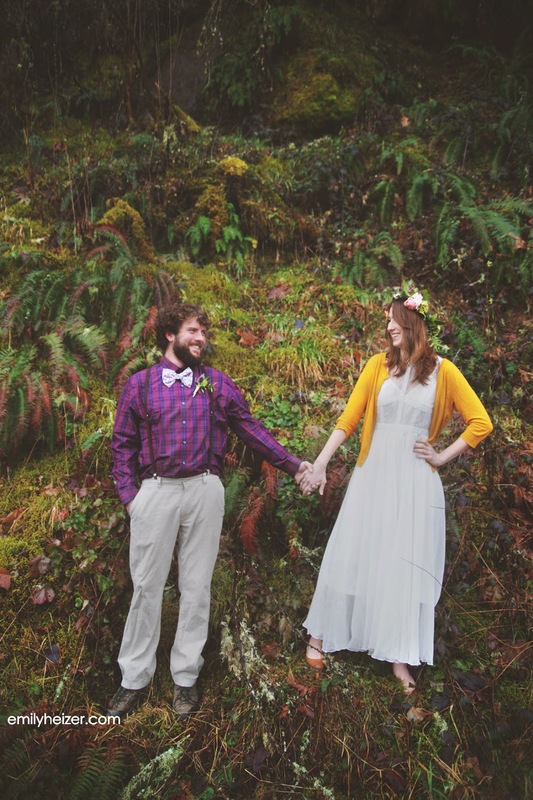 Our lovely participants are all students or recent graduates of the University of Oregon. 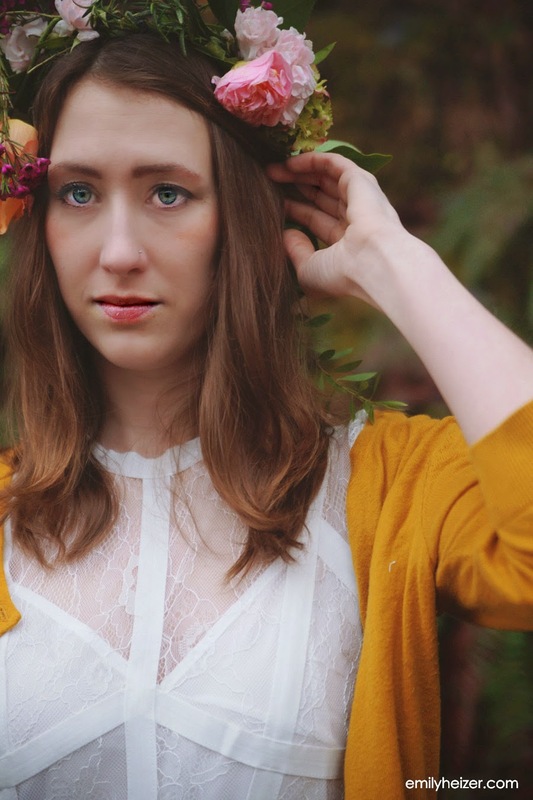 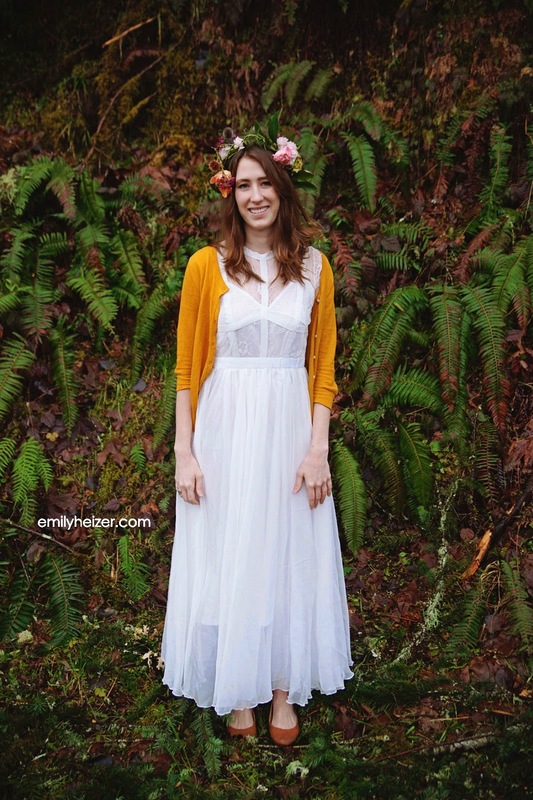 The bride, with a sweet floral crown crafted by Garden of Weedon, and an inexpensive dress from eBay. 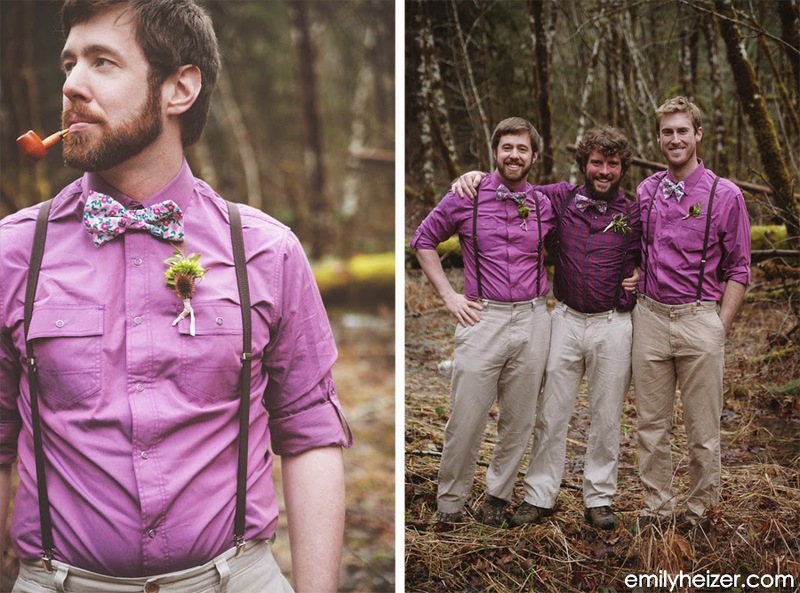 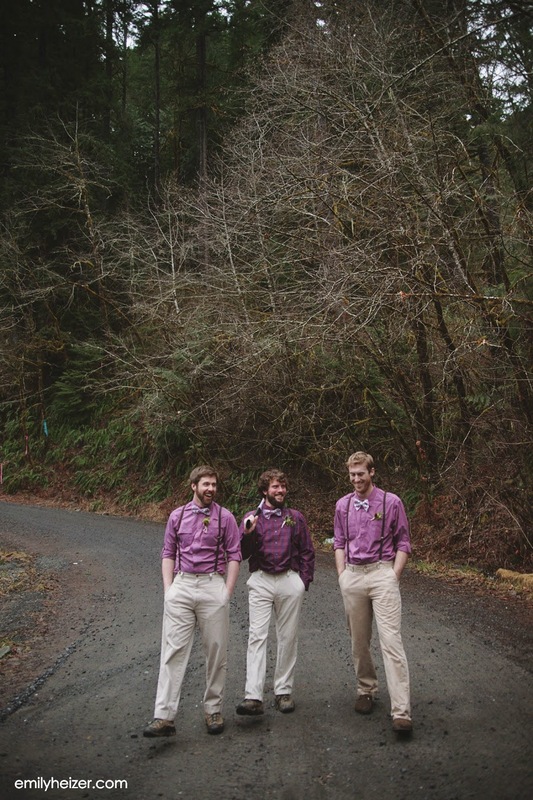 Our groom was so brave to style this floral bowtie, handcrafted by Emily. 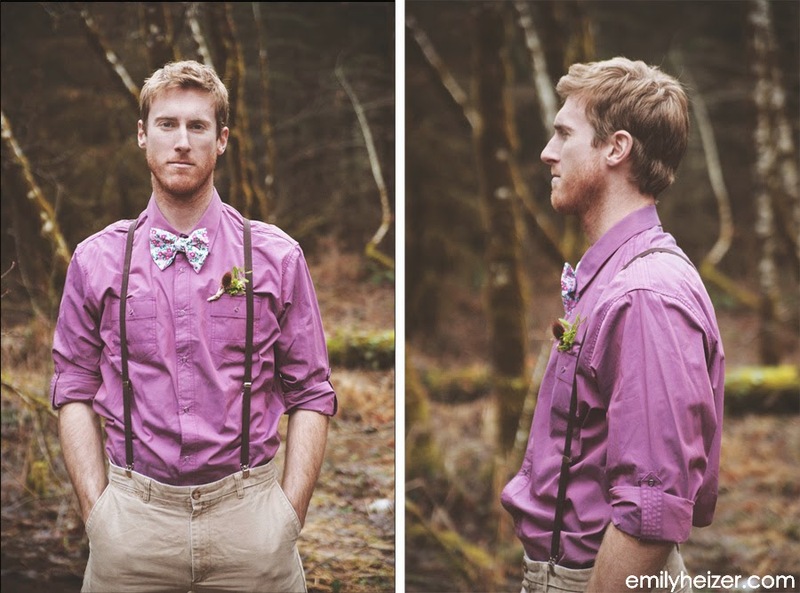 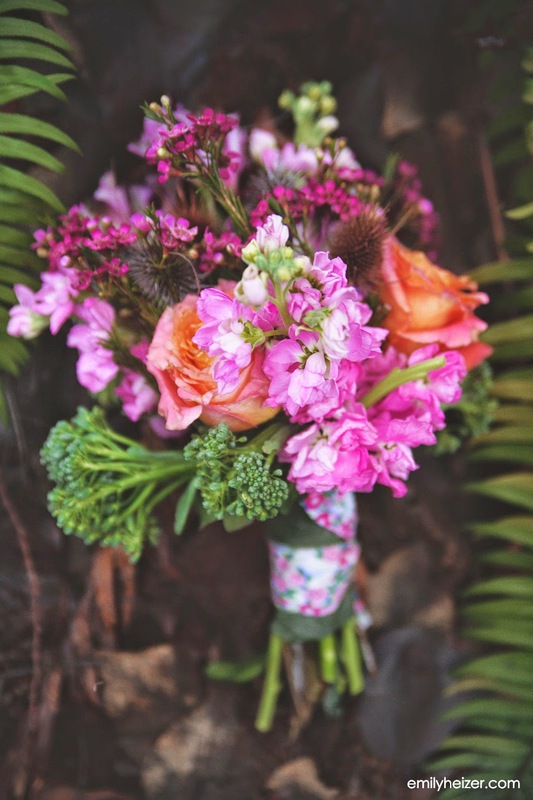 The boutonnieres were shipped from California by Garden of Weedon. 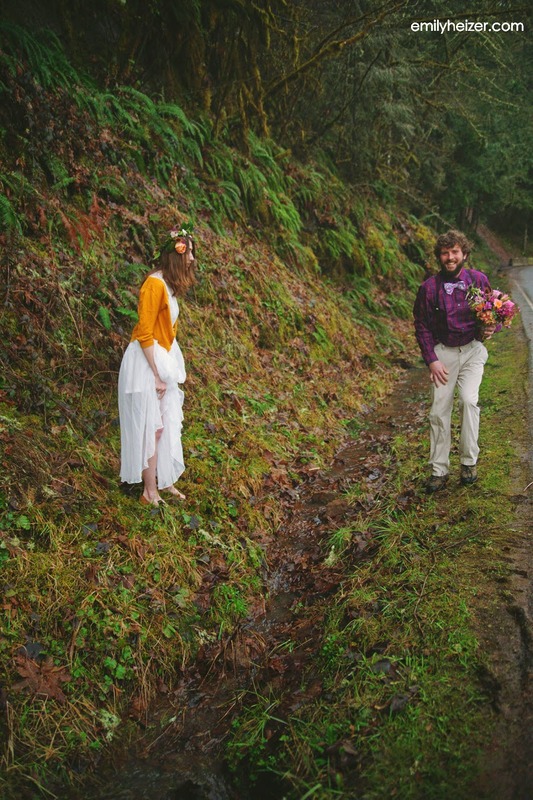 Our stunning ceremony site, on the side of a mountain in Oregon. 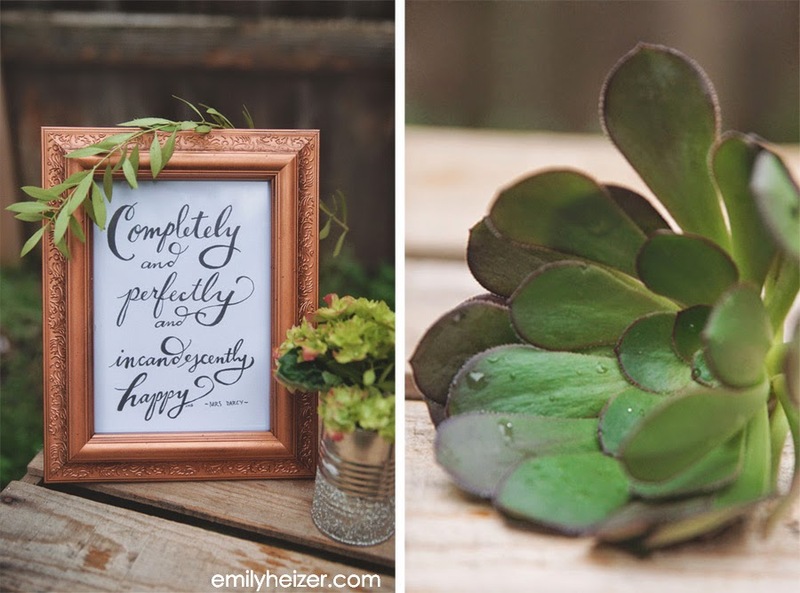 There's no need to decorate beyond what nature provides in some cases. 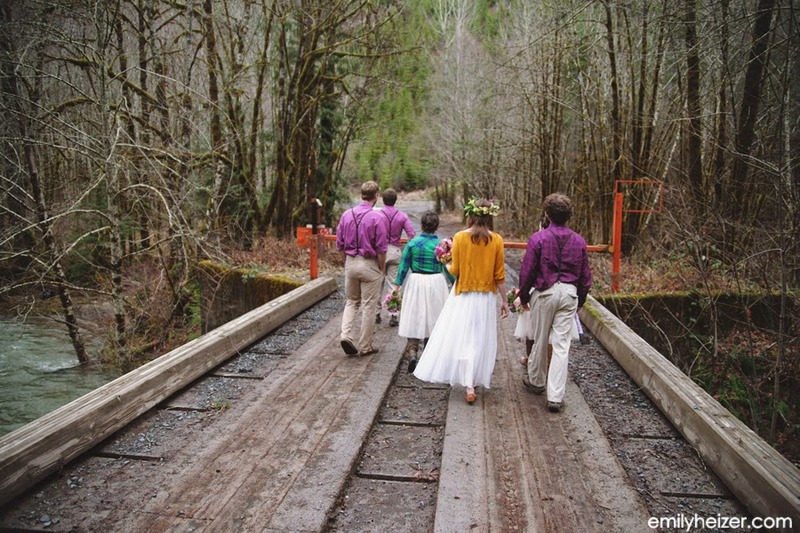 And after a private ceremony session, we were off to meet our bridal party! 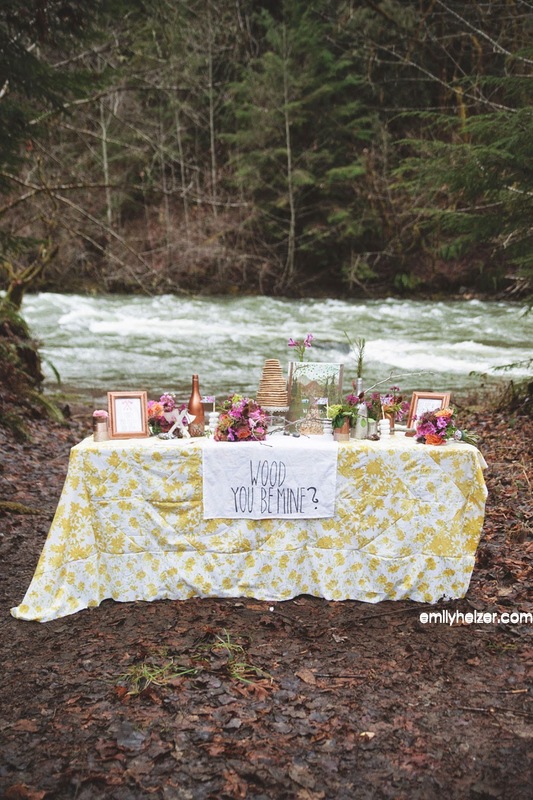 And a beautiful reception along the river. 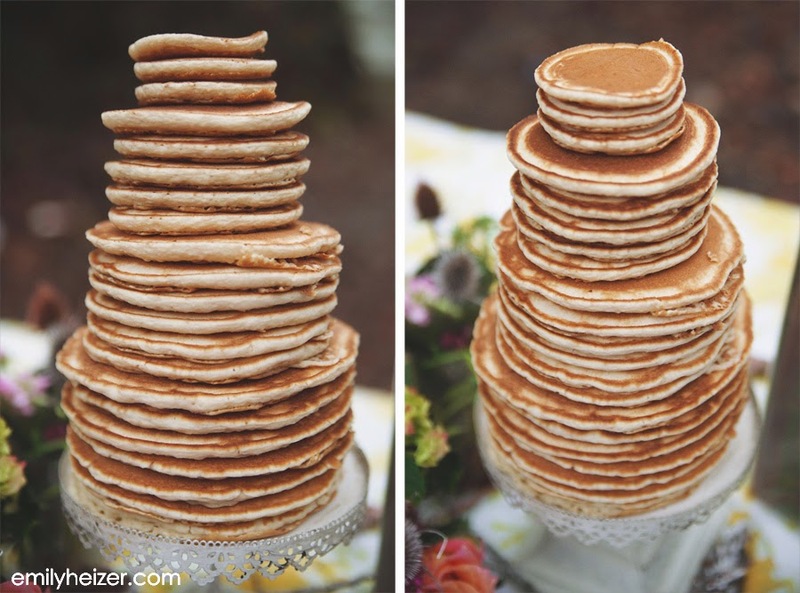 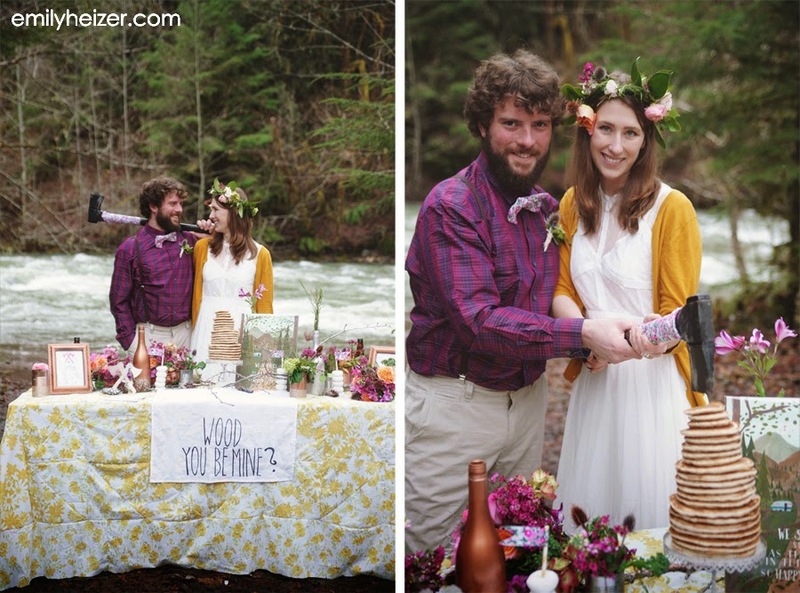 Complete with flapjack wedding cake and stacks of powered donuts. 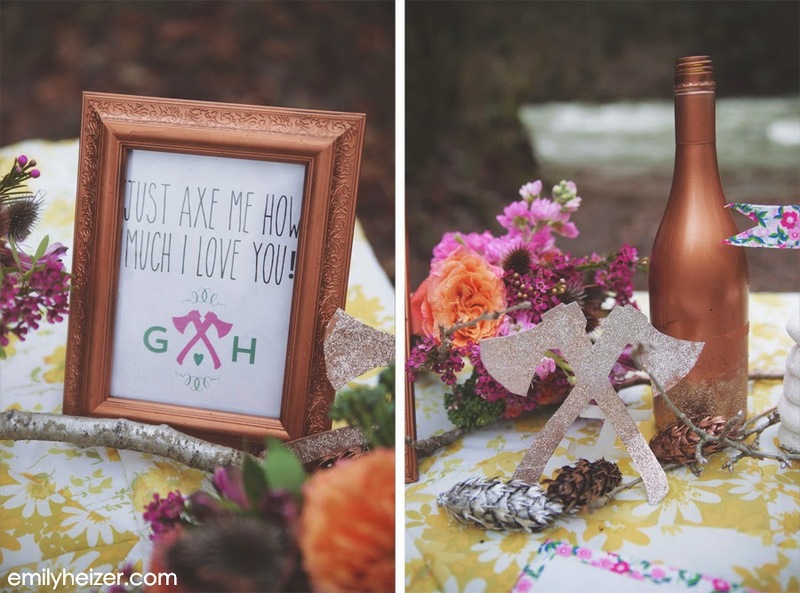 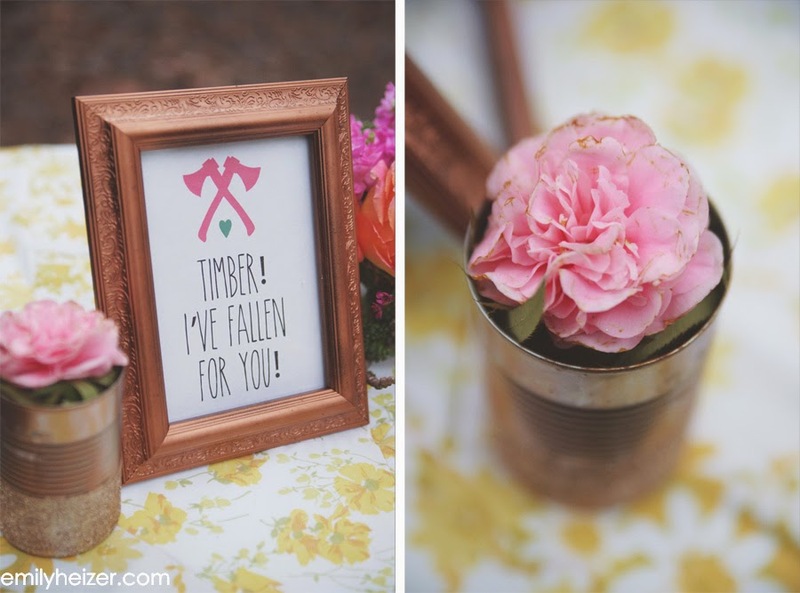 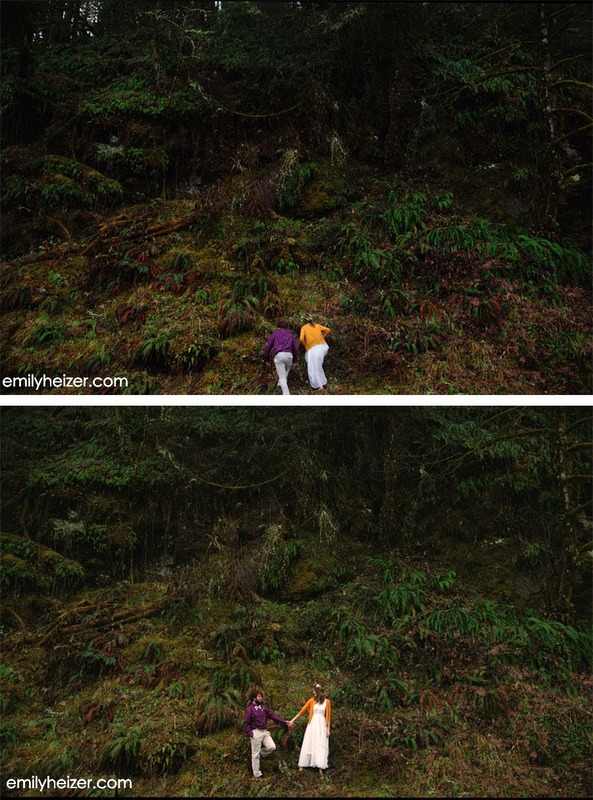 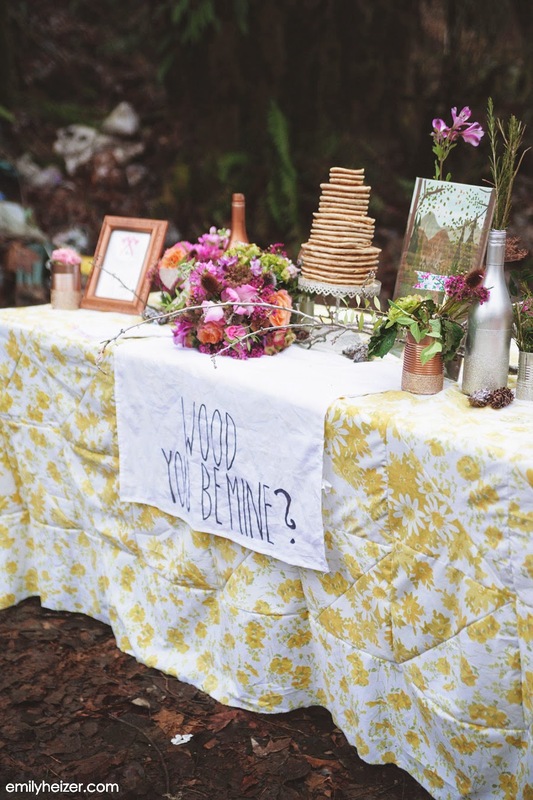 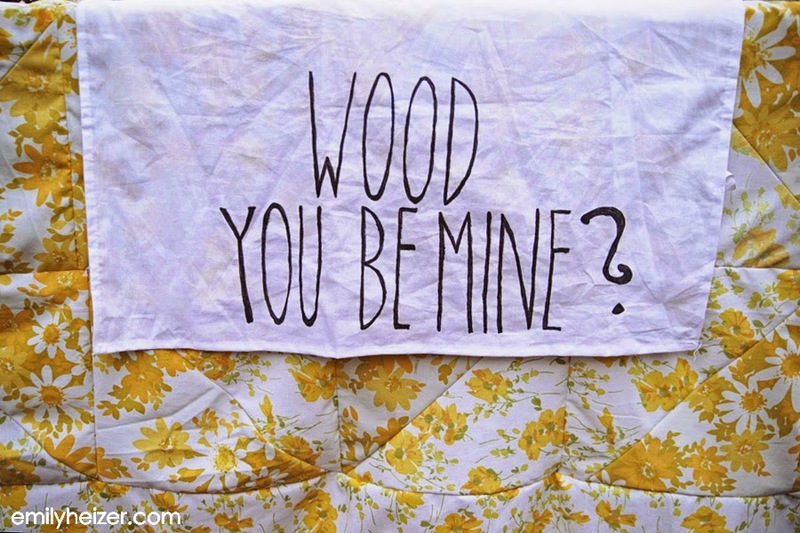 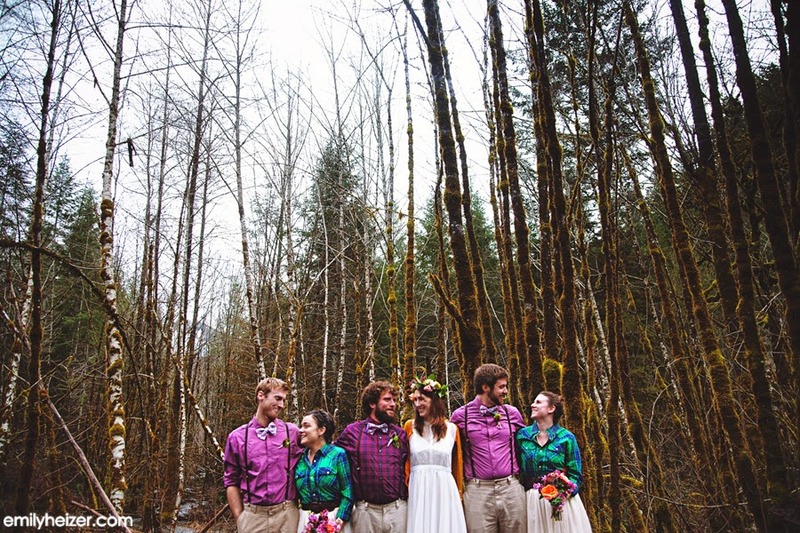 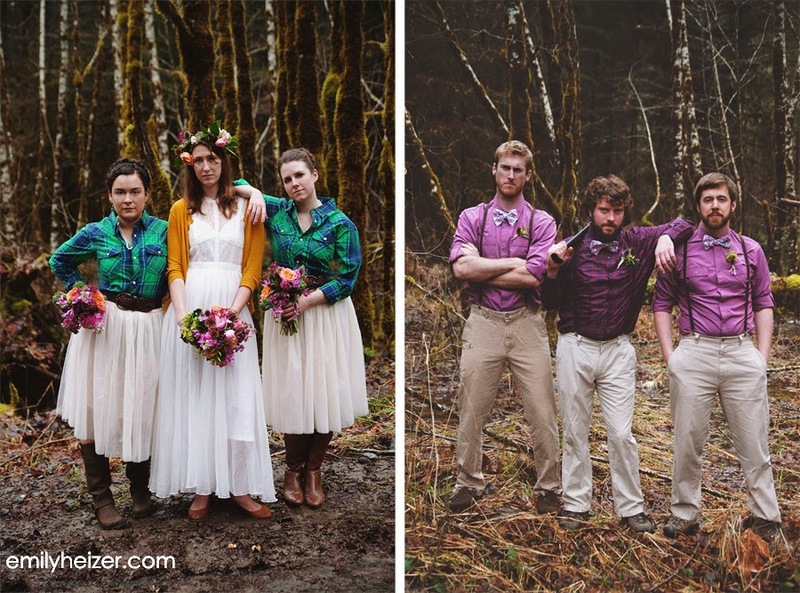 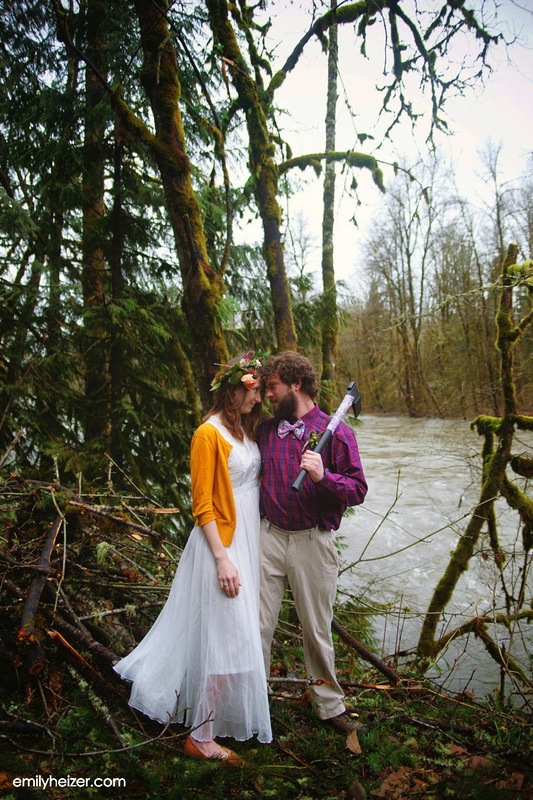 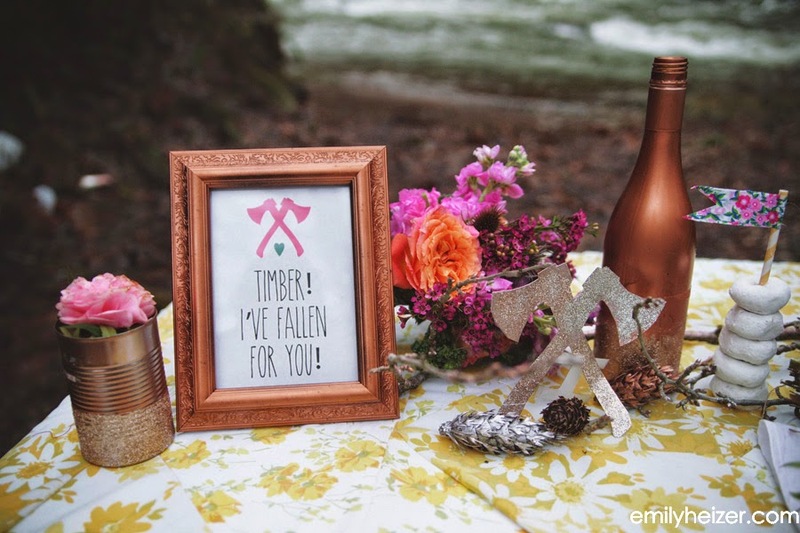 I love your forest style of wedding.it is so sweet to share this sweet moment with best friends!